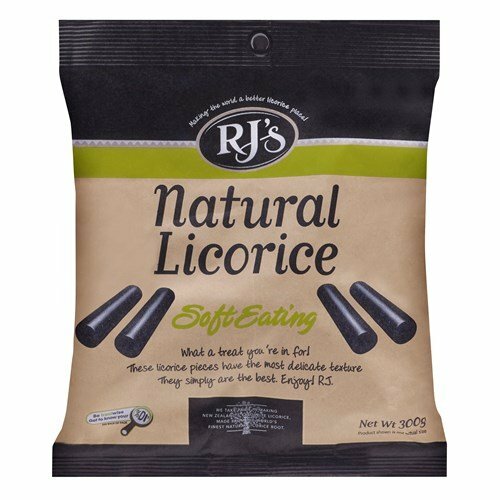 RJ’s Licorice original soft black licorice has become a classic confectionery treat. Decades of eating… oops… research has been undertaken to develop our black soft eating licorice, balancing perfect mouth-feel with the right amount of licorice. It’s soft to the bite with a tantalising licorice flavour to please every palate. Tasty! RJ’s uses GMO free ingredients and sustainably sourced Palm Kernel oil.